Prof. Dr. Mustafa Durmuş: No matter what you do, there is no chance of this economy to grow like before, we are headed towards a big crash. We discussed the crisis – the dominant agenda of the public – with academician Prof. Dr Mustafa Durmuş. 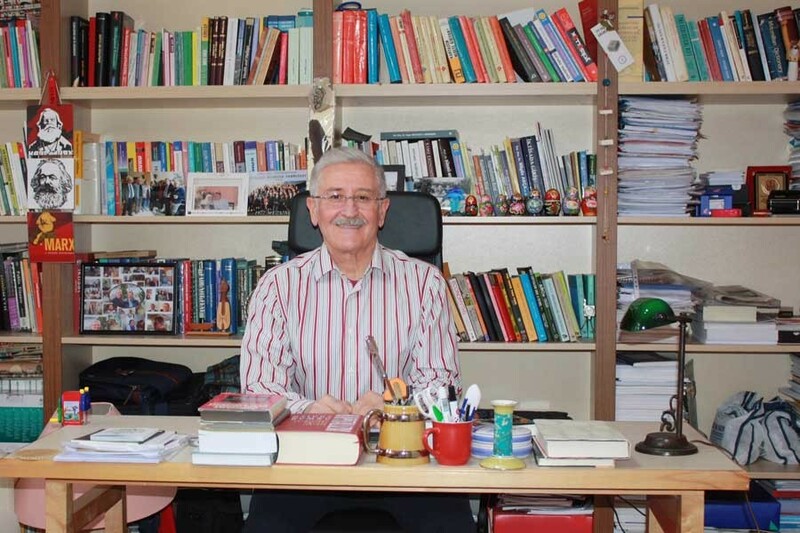 Durmuş added to his contributions to economic studies last year with his book ‘Turkish Economy in the claws of Crisis, Coup and War’ published last year. He continues to write for sendika.org. Prices of everything, from food to transport, is increasing and the CB itself is saying that increases will continue. Turkey is sinking according to the main opposition party, CHP. Is this the outcome? At which stage of the crisis are we? The Turkish economy is facing its worst crisis in history, which I believe will deepen and much clearer signs of it will be observed within the next few months. This is a very rapid process but it has been going on for a while; its increased speed was foreseen. This is neither the first nor the last crisis Turkey will face. I remember the crisis of 40 years ago, at the end of the 70s. Capitalism could only overcome this crisis with the military dictatorship of 12 September (1980) and the accompanying neo-liberal accumulation strategy and policies. But the people paid the price; democratic rights and freedoms were suspended along with a reduction in wages and price increases. That was followed by the crisis in 2001 where 20 banks were taken into public ownership, saving their owners. This crisis threw us into the arms of the AKP leadership. 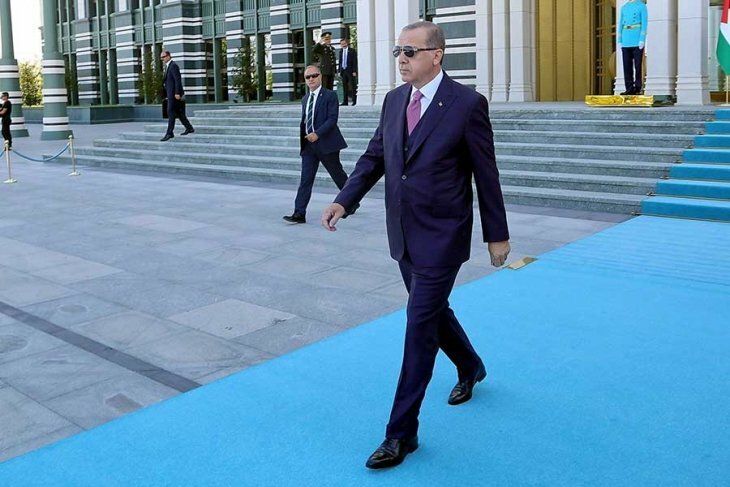 The path was cleared for the AKP; political Islamist, neo-liberal, faithful to the policies of Kemal Derviş, becoming fully integrated with international capital and later becoming more and more authoritarian. Turkish economy entered another deep crisis after 16 years, as their strategy started stumbling from 2013 onwards. What kind of a crisis are we going through? In essence, this is a crisis of Turkish capitalism, which is dependent on foreign investment. It is manifested in a crisis of payment balances (rapid rise in exchange rates), the foreign debt crisis of the private sector and a potential banking crisis. The first phase is complete and the second phase has started. The final phase of such a crisis is a deep recession; the shrinking of the economy in real terms. 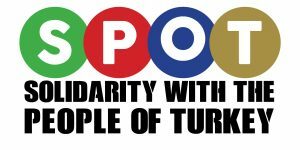 In reality, the regime for increasing accumulation in Turkish capitalism, implemented for the last 16 years, is in a deadlock and cannot continue. This requires a change similar to the previous ones. This change will not only be in economic strategy and is necessary also in politics; the fact that the regime being built is more authoritarian and totalitarian since 2016 proves our thesis. The economic crisis from below causes unavoidable changes above. Without a doubt, such a change is not on the side of democracy. In other words, I believe that the formulation of a way out of this crisis by the ruling classes will be a hardening stance; becoming more authoritarian; further articulation to the global capitalist system, while burdening the working classes with the political and financial costs. The ruling block claims that the economic hardship is a result of the actions of foreign powers, especially the US. They also vehemently defend the thesis “We are fighting terrorist forces both domestically and internationally, we are carrying out cross-border operations, of course, this will have economic costs!” What do you say to the link between security politics and the crisis? The crisis is mainly based on financial reasons but political and geopolitical reasons are also very important. 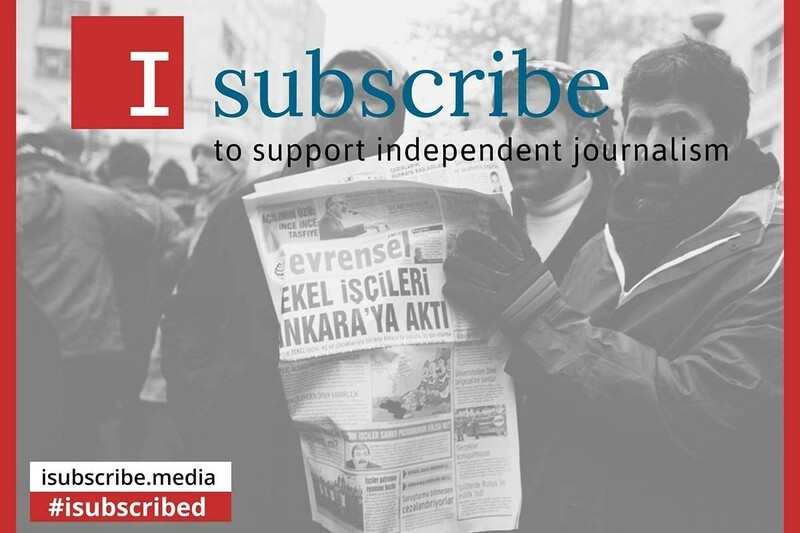 Current political line rendered Turkey structurally dependent on foreign forces, like a semi-colonial country; another unique situation has risen in recent years. Especially after 2013, geopolitical risks rose sharply. There was a peace process until 2013, and then the table was instantly turned over and we witnessed a return to war. This led to an inevitable increase in military spending. The country started to get embroiled in the Syrian war at the same time. Furthermore, post-2013, infighting between the Gulenist Jamaah and the AKP took place, which reached its pinnacle with the attempted military coup in July 2015. This was followed by OHAL (State of Emergency) and the burden of related conditions on the economy; snap elections of 24 June; the tension between Trump and Erdoğan, which impacted on the exchange rate; all leading to increasing political and economic uncertainty…These have been the political contributors to the crisis and hit the economy. Erdoğan, calling on the public to exchange their dollars, saying “they have their dollars and we have our god” last week said, “this will come to pass”. The answer to how this will happen came from Berat Albayrak. Albayrak said that total war will be launched against inflation and that strong monetary and financial policies will be introduced. What does this mean and can it be a solution? The rulership is talking about the exchange rates but if you ask me inflation is the real problem; even more important than unemployment. As you know, inflation in ÜFE (PPI) reached 18% and in TÜFE (CPI) above 32%. This means that producers will pass these costs on to customers in the coming months. In this situation, inflation will continue to rise. Do not be surprised if it reaches 25% at the end of the year. People see in shops and markets today that prices are increasing by 30 to 50%. The government continues to increase gas, electricity and petrol prices. We will soon see the Mid-term Program (OVP); Albayrak says “Fighting inflation will be the main priority” but President Erdoğan thinks otherwise. It was revealed in his recent 100-day action plan that the inflationist growth model will be continued. There is a clear disagreement. Erdoğan wants the current growth strategy to continue; at least until the local elections. But this strategy will lead to an increase both in deficit and inflation. The finance minister is talking about a programme that targets to control the increase in inflation. The two approaches are contradictory; I believe that power is at the hands of the Palace. We need to wait and see how it is reflected in the OVP. There is also another factor that we must acknowledge; economic growth started slowing in the second quarter. IMF and World Bank reports point to a big shrinkage in 2019. Regardless of intentions, current conditions point to this: regardless of what you try, you cannot grow this economy – even artificially- as you did in the past, you are on a path to a serious crisis. This will certainly have political consequences. On the day Albayrak said they will “take serious austerity measures such as selling luxury official vehicles and cuts in public spending”, we learnt that in a reception held at the Palace on 30 August guests were served ‘Dragon Fruit Juice’ and other food and drinks we cannot even pronounce. There was an 18% reduction in the budget of MEB (Ministry of Education) around the same time. How would you evaluate the statement of ‘austerity’ in the light of these developments? In the public eye, they have to seem to be austere; this is why they make such statements. However, despite media monopoly, someone writes about the menu at the Palace; and the public – including their own voter base – react to this news with disgruntlement. When you cannot find any affordable fruit at the market under 5TL, it is natural that people question consumption of fruits that cost hundreds of TLs. This kind of political rulers enforces austerity and tightening of belts only on the public, not themselves. They could take symbolic steps such as reducing the number of luxury official vehicles but the real question has to be: ‘why this level of luxury?’ We are the leading country among the European countries in the use of luxury vehicles for official use. This has become our lifestyle. If you go to Kocatepe Camii on a Friday, you will see hundreds of luxury official cars and armies of security officers bringing politicians and bureaucrats to Friday prayer. I am not sure if they can give up these luxuries. However, the public will face serious limitations; we saw the cuts in educational expenditure and this was already happening in healthcare. These ‘tightening the belt’ measures will be increasingly forced on the public in the coming days. This needs to be exposed. However, I do not believe that we have the political opposition to expose this. It is very hard to change people’s opinions without overcoming the effects of neo-liberal populism. Furthermore, as the crisis deepens, instead of a shift to the left and strengthening of the opposition, it is possible to say that fascistic tendencies will increase. Developments worldwide show the same trend. Exactly. We have examples of this in history. The economic crisis is an absolute must to build such a regime. If you look at Germany in the 1930s and Italy before that; you can see that the common factor in both cases was an economic crisis. If the working class and the wider working population are not organised, that is where you will end up. Turkey is not going only through a financial and political crisis; the country is in a multi-crisis state. The ecological crisis is just as important. Social crisis exists mostly manifested in suicides, etc. We can see that these can transform into something else in the near future. Academic Fikret Başkaya calls this a “collapse”. I don’t think we are at that stage yet but definitely getting closer. We can also see the decay in the system. The example of Halk Bank, where foreign currency was sold for half the exchange rate for a while with no investigation or not a single resignation of the culprits, shows the level of decay in the system. We see some deviant behaviour, which again is a sign of decay but there is still a chance to build something from this. We need to focus on those buds. We need to focus there for the solution and go to those that will bring this change. So, how do workers overcome this, how can we stop the public footing the bill of the crisis? Marx, in his foreword to ‘A Contribution to the Critique of Political Economy’, says: “Mankind thus inevitably sets itself only such tasks as it is able to solve…that the problem itself arises only when the material conditions for its solution are already present or at least in the course of formation.” Someone else, I cannot remember who right now, said: “if you want to find a solution, you cannot go to those who created the problem.” Starting from these two statements I can confidently say this; if the cause of the economic crisis in Turkey is neo-liberal capital, capital accumulation strategies and the political will that pursues this, they cannot provide the solution. The refusal of the current paradigm is a precondition. This requires us to discuss the anti-capitalist development and a strategy to come out of the crisis. A radical transformation of the paradigm, the political leadership that is responsible for it and economical modes of production and consumption are necessary. We seriously need to bring the reorganisation of production relations to the agenda.